My garden runneth-over with vegetables!!! 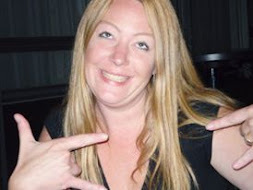 I am always searching for new meal, salad, side dishes and appetizers I can use my various veggies in. 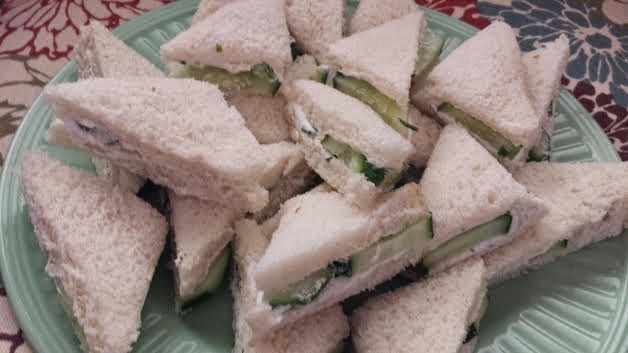 Recently I was cruising through Pintrest and came across those precious dainty cucumber finger sandwiches, bingo had to make them! I am surprised I have never had these before. I made a couple variations of these finger sandwiches both were very tasty. 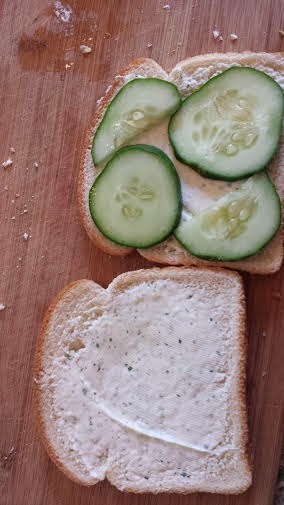 Place cucumber slices on one of the slices of bread covering the bread, top with the other piece of cream cheese covered bread. 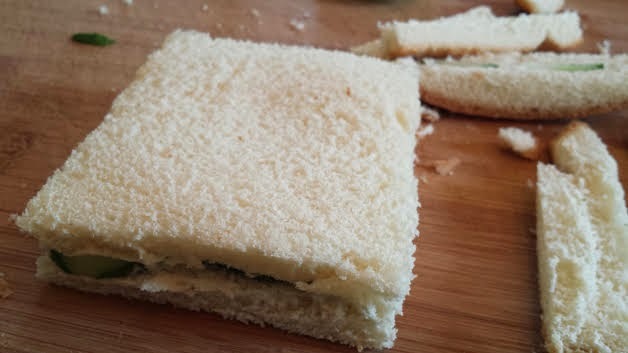 So now you have a sandwich, cut off the crusts, while pressing down gently squishing your sandwich, cut into 4 triangle pieces.